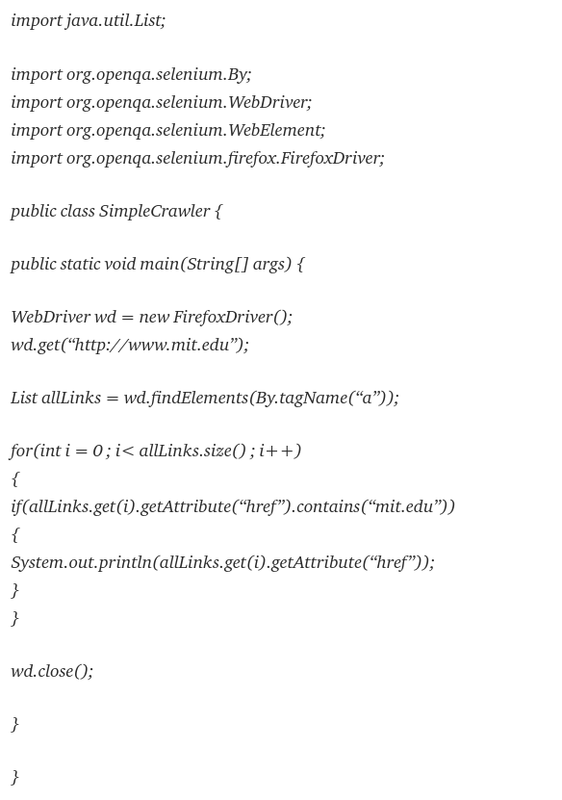 How to make a Java Web Crawler? 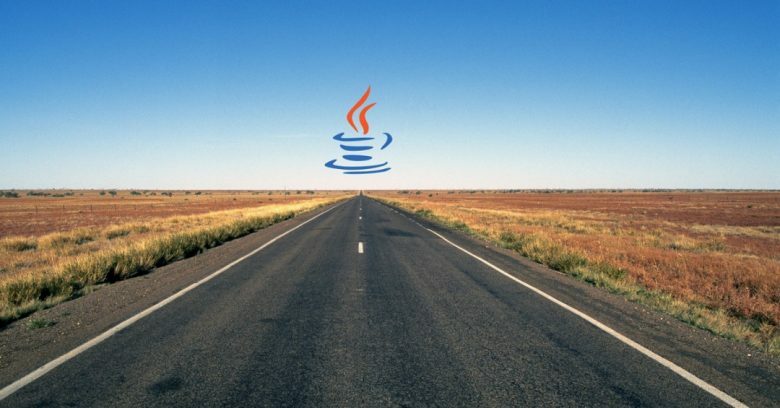 This post is for those who want to step-by-step learn how to create their own Crawler in Java. A web-crawler is considered by many to be a complex application requiring deep knowledge. The guide will guide you through several simple steps to quickly master the creation of Web Crawler. You can change the creation of the scanner using Java using this textbook for your needs after spending a little time. 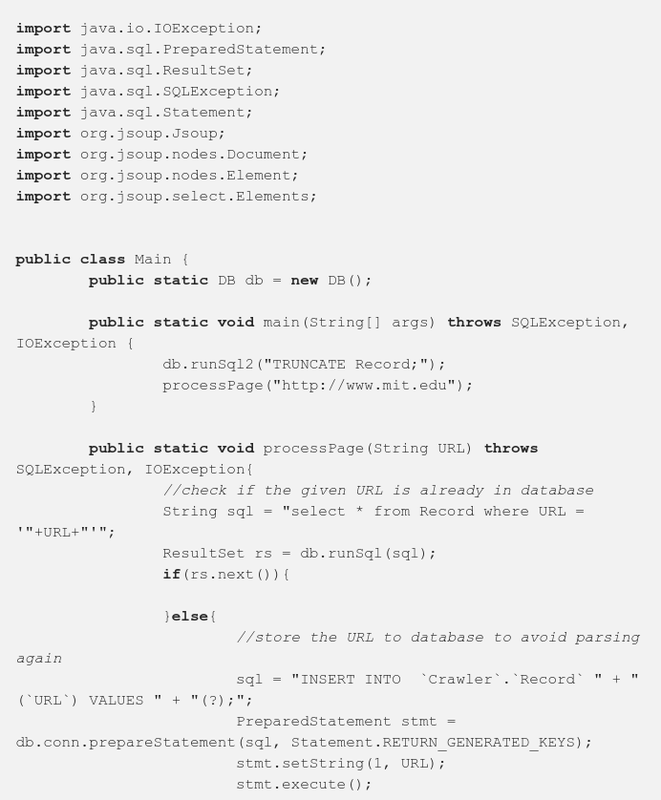 – You need to know the basics of Java, a bit about the SQL database and MySQL. 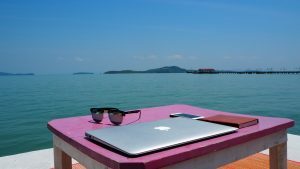 – Computer or remote server. Web Crawler for collecting information on a given logic. For example, let’s collect all the information on the site of your university “BigBrain.edu” on the topic “apples”. – Open the root web page (“BigBrain.edu”) and collect there all the external links from this page. 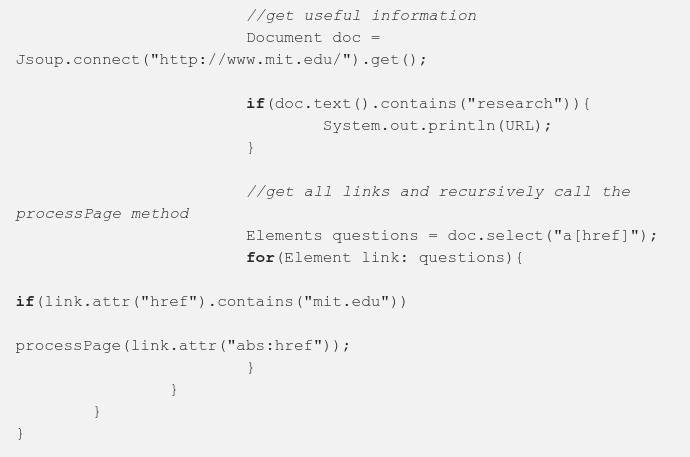 To do this we will use JSoup, which is a convenient and simple Java library for analyzing HTML. – Then we analyze the received URL-addresses and collect new links. – When performing the second and subsequent steps, we check which page was processed earlier so that each URL is processed only once. It is for this control that we need a database. Owners of Ubuntu and a guide for Windows users. 1) Download the main JSoup library from http://jsoup.org/download. 2) Now create the project in its eclipse with the name “JavaCrawler” and add the jar jsoup and mysql-jar files that you uploaded to the Java Build Path. 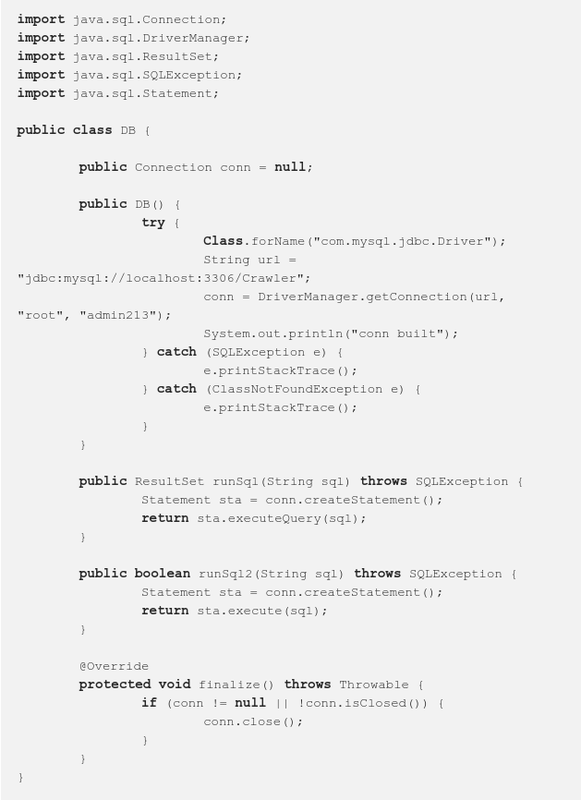 3) Create a class called “JCDB”, which is used to handle database actions. 4) Create a class with name “Main” which will be our crawler. 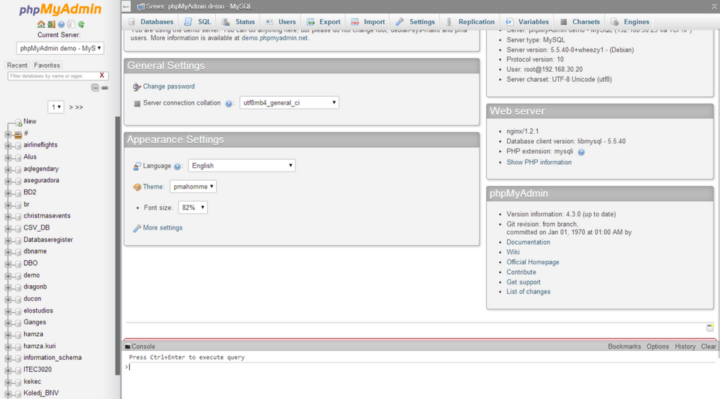 How develop custom web crawler on Python for OLX? You can do it by guide from Adnan.